Working in the world's fastest-growing economy could boost your career. 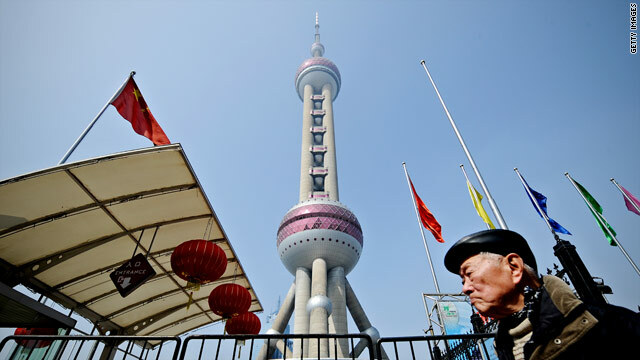 London, England (CNN) -- With China's increasing importance in global business, experience of working in the world's fastest-growing economy could add gloss to your resume, say experts. Despite the global slowdown, the IMF forecasts China's economy will grow by 10 percent this year and China is close to replacing Japan as the world's second-largest economy. Washington University's Olin Business School runs an executive MBA program at Fudan University in Shanghai. Managing director Patrick Moreton told CNN, "We know China is likely to be one of the most significant centers of economic growth in the next 50 years. "For that reason, knowing how to do business here, being connected to the business community and knowing how to solve its problems are very good skills to have." Cherie Scricca oversees the USC Marshall School of Business global executive MBA in Shanghai. She told CNN that working in China can be a valuable experience for Westerners. "China is growing so fast, and not just economically. There are so many changes politically and socially. "Anytime you can be involved in a place that's growing so fast in so many different dimensions -- and be there in the early stages -- it's exciting and it can only do wonderful things for you." It's very difficult to have a Chinese perspective if you are conducting business from afar. As China becomes an increasingly important place for Western companies to do business, understanding Chinese business culture will become an ever more useful skill. "It's very difficult to have a Chinese perspective if you are conducting business from afar," said Scricca. "If you've worked there, there's a mutual respect and understanding of cultures, which I think is extremely important. "Relationships are critical in business normally, but I think in China the building of relationships is not just nice, but necessary. Having those personal relationships yourself is critical to success." But with China producing a skilled workforce of its own, finding work in the country isn't straightforward. "If you were thinking about a career move to China you really need to think about what you can do that a local manager wouldn't be able to do," Moreton said. "There's a growing pool of talent in China, so it's really the people who have the influence and leadership skills, soft skills, and are able to develop those in local managers that are the most valuable at this point in time." He added that even for fluent Chinese speakers there is little chance of finding a job with a Chinese company. But he said there are opportunities in small and medium-sized Western businesses expanding into China, as they aren't sufficiently well known in the country to attract top local talent. For Westerners unable to find work in China, Moreton said one possibility is to spend some time in the country learning the language and making contacts, while Scricca suggested MBAs tap into their alumni network to build relationships with others already working there. For those who do manage to get a job, cultural challenges await. Few Western workers are proficient in Chinese, but Scricca said trying to learn the language will be appreciated by local business partners. "Having an interest in someone's language is key to establishing trust and interest and any long-term relationship," she said. "It may not be expected that you speak Chinese, but the fact that you are attempting to learn goes a long, long way." Foreign workers also have to navigate differences in business culture. Scricca said that when a Westerner is doing business it's essential they make it clear to their Chinese partner what they want to get from the relationship. Because Western and Chinese businesses come from such different backgrounds they may not have the same interests. But Scricca said those differences can be a source of business opportunities. "Understanding what those differences might be and helping to surface those differences might actually lead to new business opportunities you didn't even think of when you went in. "That's what I think is such a positive thing about the prospect of doing business in China."